This accommodation comprises of two twin beds (double beds on request) which include a private bathroom, airconditioned / centrally heated, telephone, TV, daily cleaning service. The room is approximately 18 m². 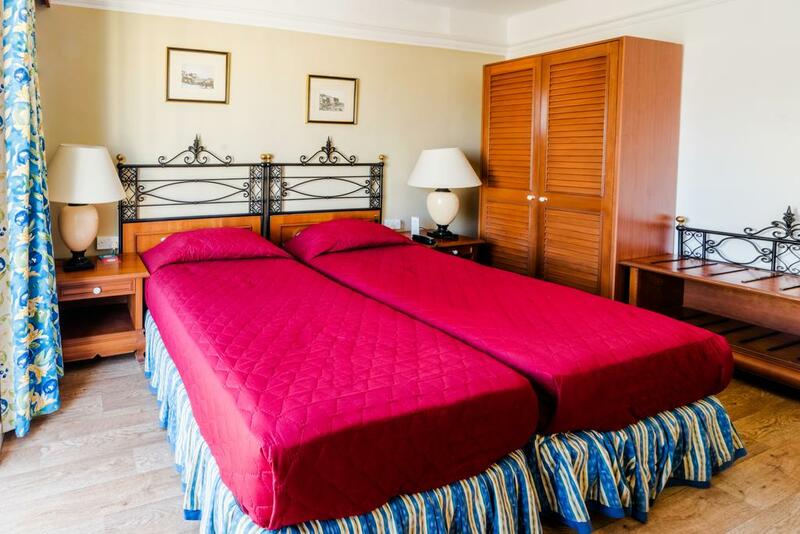 This accommodation comprises of two twin beds (double beds on request) which include a private bathroom, airconditioned / centrally heated, telephone, TV, daily cleaning service and a balcony overlooking the pool. The room is approximately 18 m². A safety deposit box is available in every room at a minimum charge. Wifi throttled broadband access is available free of charge in the lower lobby area. All rooms and public areas have full wifi broadband access at nominal charges. Prepaid cards available at Front Office.